Amazon is now suing companies who pay for fake product reviews. Data is beautiful: where in the US are most people from out of state? Are there really 10 million Moms missing from the workplace? Is this a problem? 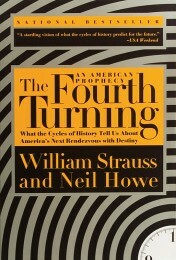 Where we got derailed was in a discussion of The Fourth Turning: An American Prophecy — What the Cycles of History Tell Us About America’s Next Rendezvous with Destiny by William Strauss and Neil Howe. 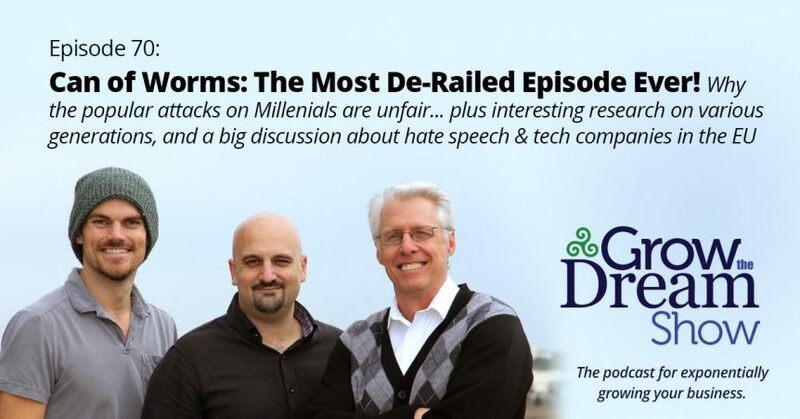 David originally brought this up to reflect upon the different social dynamics at play that worked to bring about the widely differing viewpoints held—at the macro level—by Millenials, as distinguished from those held by Gen Xers and Boomers. Strauss & Howe, celebrated authors on generational topics prior to their collaboration, posited the theory that there are 4 generational archetypes which repeat themselves throughout the history of Western civilization, and which are likely to continue to repeat themselves due to the cycles of history which act upon and react against these 4 archetypes. Even if the ideas in the book aren’t 100% accurate (it was written in 1997 and was looking forward), it’s worth a read for any marketer trying to understand the dynamics of these generations. For a summary, check out the Wikipedia article on the Strauss-Howe Generational Theory. As a consequence of these cyclical characteristics, Millenials, though much aligned by Boomers and Xers, have a set of strengths that (David theorized) are uniquely suited to provide leadership in the days to come. Rod, of course, needs to see more evidence. Josh, on the other hand, has started to embrace his own status as a Millenial, and seems to have appreciated the efforts at defending his generation. We got derailed on this topic for a while. Once we got back on track, Rod brought up this story about tech companies agreeing to censorship in the EU. Need a press kit? Press Kit Hero to the rescue! Emoji are no problem… when you’re on a mobile device. What about from your computer? If you’re on a Mac, Ctrl+Cmd+Spacebar allows you to pull up an emoji dialogue that you can use, but that might not be the most efficient. A new tool allows you to use Cmd+Spacebar and type emoji shortcuts. To use it, you need Alfred (paid) and the Alfred Emoji Pack (free). Meanwhile… David located the Chromebook emoji set in the on-screen keyboard.